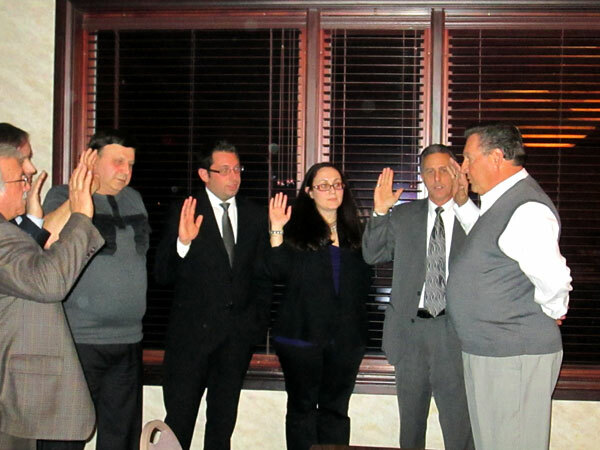 Welcome To The Italian American Cultural Society! Americans could gather to preserve their traditions, values, and customs. These concerned few planned a community-oriented structure in which to develop cultural programs and educational services attuned to enhancing the lifestyles of all Italian Americans, indeed the entire community. The IACS became a tax-exempt foundation in 1962. Our Italian culture abounds in a rich heritage: from our earliest ancestry in and around the ancient hills of Rome, through the building and restructuring of the Renaissance Period, to the evolution of the modern world in our land across the sea and in America, our new home, land of our hopes and dreams. We are the guardians and protectors of this culture. We are today's Italian Americans, a creative and productive people, filled with the life and energy that exemplify vibrant and deep-rooted traditions, nourished and preserved over the years, which are our legacy today. compensation. An advisory board of directors, comprised of representatives from various clubs and associations, and advisors from the academic community freely donate their knowledge and expertise. A full-time staff of administrative, clerical, and maintenance personnel is employed by the Society. The Center's primary sources of revenue are received from membership dues, fees for the use of the facilities, payments for educational courses and programs, and contributions from individuals, organizations, and foundations. It is the Center's privilege to host many diverse community activities throughout the year, such as the Festa Italiana in summer and the annual Columbus Day Celebration. We proudly share our culture through musical programs, cultural/heritage lecture series, film festivals, art exhibits and displays, and patriotic observations, such as the Festa della Repubblica Italiana in June. Many social events are sponsored by either the Society or by other groups and associations. These projects and events supply resources necessary to maintain the facility and supplement revenues produced by the Center. The Center sponsors one of the largest Senior Citizens groups in the metro Detroit area. Members attend monthly meetings, which feature interesting and informative speakers and entertainment. A busy schedule of trips and activities is maintained, such as outings to restaurants, casinos, theaters, historic churches. The Seniors are an integral part of the IACS, volunteering at events and supporting the Center. In the summer months members can gather at the Center to play bocce on our two outdoor bocce courts. In the fall and winter months, Member’s Night attracts them to the Center to play games and cards or just socialize. The Italian American newspaper, underwritten by the Center, is a monthly, bilingual publication that provides Italian Americans and others in the metro area with information about the Center and its events, in addition to news and views about Italy. In addition, it features events happening out in the community. The paper also serves as a public relations tool for many smaller Italian organizations to help promote activities and programs. Italian language classes are offered at the Center through the Education Department. This is a five year program covering all four language skills, listening, speaking, reading, and writing. Our instructors are highly qualified in teaching philosophy, methods, and proper use of materials. Italian Education Scholarships sponsored by the Italian American Cultural Society offer a wonderful opportunity to high school students (9th through 12th grade) to obtain two semesters of Italian language at the Italian American Cultural Center in Clinton Township. Five IACS scholarships consisting of two semesters of Italian education are awarded (September – April). The winners of scholarships receive a certificate towards continuing the Italian education classes at the Italian American Cultural Center and a letter of recommendation for college. The Center's skilled and accomplished staff coordinates weddings, showers, and parties at our beautiful Banquet and Conference Center. -To plan, promote and carry on charitable, educational, and cultural activities, which serve the welfare of the community. -To preserve traditional Italian culture by sponsoring lectures, classes, conferences and study groups devoted to contributions made to the world by Italians. -To compassionately counsel and assist indigent persons dealing with personal, family, or community problems by direct services or referral to appropriate agencies. -To carry on human relation activities on a charitable basis for the purposes of eliminating bias, prejudice, or discrimination affecting all Americans.